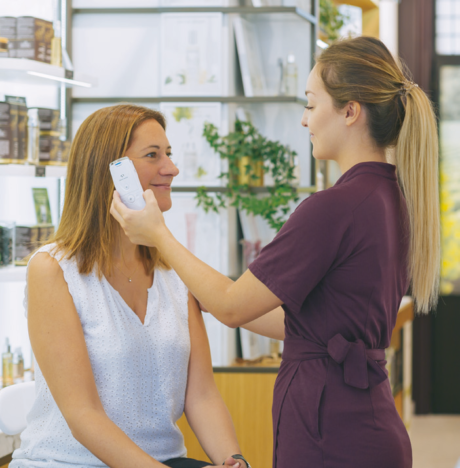 Meet our Caudalie skincare expert for a 1-1 in-depth analysis of your skin using our next generation skin scanner, followed by a personalised Instant Beauty Facial. Using the very latest skincare technology, understand why your skin behaves the way it does and learn how to improve specific concerns. Our skincare expert will then personalise an Instant Beauty Facial for your skin’s needs leaving it balanced with a radiant glow. Your skin scanner appointment will last 45 minutes. £10 booking fee required, redeemable against any Caudalie products purchased on the day. Call 01749 672225 to reserve your space today!